Our fully-accredited General Surgery Residency Program graduates five-six chief residents per year. More than half our graduates will typically pursue advanced fellowship training. 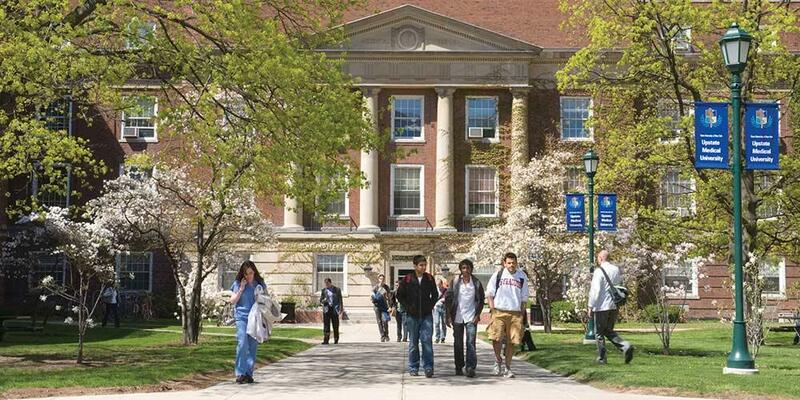 Training is provided at University Hospitals along with three other conveniently located hospitals in Syracuse. Each resident typically completes the program with exposure to over 1000 major cases. A comprehensive curriculum for teaching surgical science has led to an excellent first-time pass rate in the past two years. Our Surgical Skills Lab provides an opportunity for both junior and senior residents to practice surgical techniques in a safe, relaxed, and non-threatening environment. If you are a student and are interested in pursuing a general surgery career then please take a look at the information we have provided here; we would welcome your application into our Residency program. If you have questions on our program that have not been answered, or you would like more detailed information, please contact us.